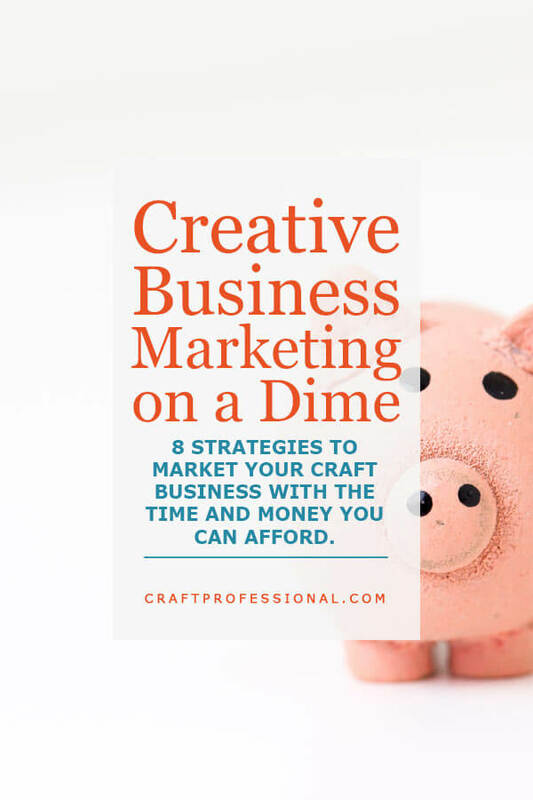 8 affordable strategies to market your craft business with the time and money you can afford. Creative business marketing is about making connections. It is relationship building and establishing trust often over many points of contact before a sale is made. The good news is, you can market your creative business even if you don't have a huge budget. It will require time, and know-how, but with a commitment to a good plan, and the right information, it absolutely can be done without breaking the bank. You can start with these 8 strategies. A niche is a small subset of a larger category. For example, handmade jewelry might be your larger category, and custom, personalized wedding jewelry might be your niche. A good niche is the sweet spot where you'll find large enough demand for the product to sustain a business, and small enough competition that someone with the resources of a solopreneur can get noticed. If your business serves a niche, you won't be marketing to everyone. You'll have a very specific group of customers. You'll know who they are, where they hang out (in person and online) and how to communicate to get their attention. Niches are important to craft artists because they are winnable even when you don't have the resources that a huge company has. Niches allow you to take extra-special care of a defined group of people, and that's something big companies generally don't do. Found your niche? Now you can get to know your customer. Who are these people who would love your product? What motivates them? What problem does your product solve for them? Where do they spend time? You can see how a niche will help you target your marketing if you look at the jewelry example. If you sell handmade jewelry in general, your target market is everyone who might wear handmade jewelry. That's a huge group. The handmade factor narrows it down a bit, but it's still pretty broad. If, on the other hand, you sell custom, personalized wedding jewelry, now you're getting somewhere. You can determine who is looking for handmade wedding jewelry, where they might spend time, what type of person would like to have their wedding rings handmade, and what general budget they might consider. You need this kind of information to make smart decisions about where you'll focus your marketing efforts and what you'll say to your potential customers. 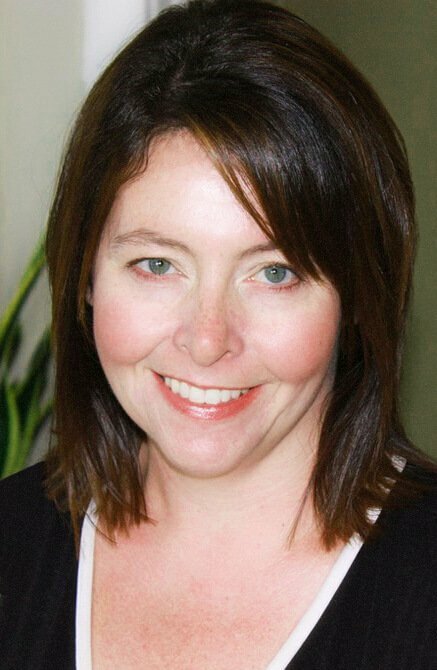 Avoid jumping haphazardly from one marketing scheme to the next. Remember, good marketing involves delivering a consistent message, developing trust, and establishing several points of contact. To deliver a consistent message across several platforms, and over time, you'll need a plan. A plan will help you make the best use of your time, and it will help you avoid jumping from one exciting opportunity to the next without any real focus or follow-through. Determine where you will do your marketing, what it will look like, how you'll find time in your day to make it happen, what your budget will be, and how you will assess the success of your efforts. You don't need a massive, extremely long-term plan. You'll probably find that your marketing changes as you learn what works and what doesn't. My own experience has been that you can have quicker success by learning as much as you can about a marketing strategy up front, but you can never know everything until you jump in and start doing it. There are always things you'll improve simply by doing. So, create a plan, go with it, and expect some flexibility and change as you learn what works best. I can't think of a single good reason not to have an email list. Your email subscribers are your absolute best customers. These are people who have actively said, "Yes. I like your company so much, I want to hear from you on a regular basis. I want to know when you have sales, or new products because I can imagine buying something from you in the future." You want people like that in your life! These providers can get pricey as you grow your list, though, so plan ahead. It can be tough to move subscribers from one platform to another, so you want to do your best to choose a provider who can meet your needs for the long term. I use SoloBuildIt to send my Craft Business Newsletter. Its MailOut Manager doesn't have some of the bells and whistles other providers have, but it serves my needs, and my package includes website hosting and building, business development resources and support, plus the newsletter delivery service for less than half the price I'd be paying with one of the other providers. Provide some way for customers to find you online. You never know who might be looking for your company. Recently, I've been wanting to replace a handmade purse I bought. I love it, but it's seen better days, and I'd like a new one. I found the company name on my purse and started searching online. Guess what I found. Not much - a mention on an odd website that didn't inspire trust - no Facebook page, no Instagram, no Etsy shop, no professional website, not even an email address. I've seen the company at shows, so I'm fairly sure they're still in business. I was all ready to spend money, and there was absolutely no way to contact the designer, buy a new purse online, or find any craft shows they will be attending in my area. It makes me wonder how many opportunities they have missed because they have absolutely no way for customers to find them. Building a website is fairly easy and inexpensive. Promoting a website requires more work and knowledge. If you simply want a site that functions as a gallery and information source for people who already know about your business, that's fairly easy to do. If you want a website that helps new customers discover you, that's harder. It absolutely can be done, but it requires work. If you're going to build a website for your business, do be wary of free webhosting. The free aspect is tempting, but usually you pay for "free" with a look that's unprofessional. Either you don't have your own URL, or your site will be covered in ads for the host company's services. If building your own site isn't an option right now, consider starting with an Etsy shop or a Facebook presence. If you go this route, however, do be aware you're building a business on someone else's platform and under someone else's rules. Consider what you would do if they changed the rules in a way that hurt your business. For example, if you sell digital downloads of your graphic art on Etsy, and Etsy suddenly stopped allowing digital downloads to be sold on their site, would you still have a business? How would you respond? Third party options aren't out of the question, but you do need to be aware of the potential downsides to using someone else's platform. Pinterest sends my site spectacular traffic - as much as Google - for free. It's a great fit for most handmade product niches. Instagram is growing, and it's fairly easy to build a following. Instagram isn't focused on sending visitors to your own site. However, it is extremely good for building relationships, connecting with people, and developing trust and familiarity that comes with multiple contacts. Social media marketing definitely takes time. I get up an hour early each morning to do my social media work (hello, 6:00am). Even with that time commitment, I need to pick and choose where I focus my efforts, but it's well worth the time spent, not only sending out my own message, but also exploring what others are doing and what's important to them. Yep. You have to market your marketing materials. I know. I hear you sighing even as I write this paragraph. A Pinterest account with few followers isn't going to get your items seen by many people. Sending newsletters to an email list with only a couple of subscribers won't result in any sales. We all start out at zero, and we spend time communicating with only a few people. I'll never forget sending my first Craft Business Newsletter out to exactly 4 people, and one of those 4 people was me. I had signed up to make sure everything was working properly. You feel like you're talking to yourself for a while, but you communicate to 4 people with as much care as you would communicate with 4000 people. You put out a great product (yes, your marketing materials are a product), you market it, and eventually, you won't be talking to yourself anymore. You'll be talking to thousands of people who have expressed genuine interest in your business. Be careful about where you spend your money and your time. When it becomes known you have a business, people will come out of the woodwork with their own agendas, wanting you to spend thousands of dollars on advertising, or commit valuable hours in a partnership that might not really benefit you. Whether you're spending your money, or you're spending your time, make sure that in exchange, you will get value that is worthwhile. The more money or time you'll need to sink into a project, the more skeptical you need to be about the return. A big spend on a single advertising spot doesn't allow you to experiment or learn, and it doesn't provide you with ongoing contact with your niche. If, for example, you spend your entire marketing budget on a single magazine ad, you'd better get it right the first time. And, if you're new to marketing, it's tough to get it right the first time. If, instead, you invest $20 or $100 on experimenting with social media ads or Etsy ads, you can reach your target customers several times, check detailed data, test your results, and see what works. You can learn, and adjust your strategy to get the best result without breaking the bank. There's absolutely nothing wrong with spending on advertising. If you can find a system in which $1 in advertising generates $2 in profit, you have a winner (as long as you can keep up with the production). But, particularly if you're new to marketing, it's wise to focus on advertising that allows you to test your results, and limits the risk if it doesn't produce the outcomes you want. Before you commit to spending time or money, ask yourself how you would feel if you achieved zero sales for your investment of resources. If you would be horrified, think very carefully about making that commitment. If you could honestly look at it as an affordable lesson learned and move forward with new insight, then it might be the right opportunity for you. How will you know if your efforts are working if you don't test? You can experiment with and test all kinds of aspects of your creative business marketing strategy. Do more newsletter subscribers open and read your email if you send it on Saturday morning? Maybe Wednesday evening is a better time. You can find out. Just change one thing at a time, and track your results. What kind of images do your Instagram followers respond to best? Check your stats and see which photos get the most interactions. You might even experiment, purposely posting different types of photos and tracking the results. Any marketing efforts you commit to should be trackable. If you know what's working, and what's not working, you can adjust your efforts accordingly and make the absolute best use of your time and your money. and a commitment to track results, test and adjust to find what works best.